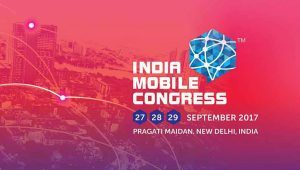 MediaTek Inc., the Taiwan-based global fabless semiconductor leader, introduced its MT6739 chipset on September 27, 2017, at India Mobile Congress 2017, the first mobile conference of its kind in the region. The high-speed quad-core System on Chip (SoC) is built for India’s rapidly growing 4G market. The MT6739 features an advanced WorldMode LTE Cat.4 modem, dual camera photography and 18:9 display support to bring latest 4G LTE functions and large, beautiful phone designs to the mainstream users. Future-Proof Cellular Technology: Support dual VoLTE and Dual SIM Dual Standby (DSDS) with either 4G+4G (L+L) or 4G+3G (L+W), meeting future-proof needs as 2G networks are progressively retired. Design Excellence: Enable the latest 18:9 display with HD+ resolution, allowing smartphone designers to create premium-looking smartphone styles. Innovation at the Fore: Â New connectivity technologies including eMBMS, HPUE and 600MHz LTE frequency are all supported. A decade into the mass adoption of smartphones in India, consumersâ€™ expectations and demands are shifting. As this market enters its next phase, mid-range device are catching up to flagship smartphones in terms of features, capabilities and power consumption. In addition to MT6739, MediaTek is also introducing its Helio P23 chipset to India. The recently launched Helio P23 delivers performance and power efficiency, dual-camera photography, dual-SIM and dual 4G VoLTE capabilities, supporting the explosion of innovation in the mid-market. MT6739 and Helio P23-enabled devices will be available in India and the global market by end of this year. MediaTek has long served as a trusted partner for carriers and device makers in India and will continue to invest in the region. Recently, the company opened a new office in Bangalore to expand its presence in India, and activated a successful smartphone design training program for Indian talents. The training program, created in collaboration with the Ministry of Electronics and Information Technology (MeitY), India, Indian Cellular Association (ICA) and the Ministry of Economic Affairs (MOEA), Taiwan, developed talent for India’s fast-growing handset industry in support of the ‘Make in India’ initiative. In India, MediaTek is on to its next phase of growth and expansion, the salience of which is being highlighted by its presence at the India Mobile Congress 2017. To learn more about MediaTek at India Mobile Congress 2017, visit the MediaTek booth now through Friday, at Stall No. 59 of Hall 11, Pragati Maidan, New Delhi.